Julia Velkova (2006) ‘Free Software Beyond Radical Politics: Negotiations of Creative and Craft Autonomy in Digital Visual Media Production’, Media and Communication 4(4). 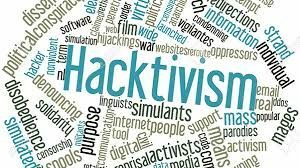 Abstract | Free software development and the technological practices of hackers have been broadly recognised as fundamental for the formation of political cultures that foster democracy in the digital mediascape. This article explores the role of free software in the practices of digital artists, animators and technicians who work in various roles for the contemporary digital visual media industries. Rather than discussing it as a model of organising work, the study conceives free software as a production tool and shows how it becomes a locus of politics about finding material security in flexible capitalism. This politics is ultimately contradictory in that it extends creative and craft autonomy of digital artists but does not mobilise a critical project. Instead, it nurtures further precarious labour. Empirically, the article draws on ethnographically collected material from the media practices of digital artists and programmers who engage with two popular free software production tools, Blender and Synfig. « Political Agency at the Digital Crossroads?